As you’re growing your business, you may run into a few bumps in the road. As expected. A very common blunder in growing businesses is the ever-growing feud between sales and marketing teams. At initial thought, you may seem confused by this statement… Since it only makes sense that marketing and sales teams have to work together! One team produces leads, the other team closes said leads. Each of these tasks hold equal merit. Without leads, the sales team wouldn’t have deals to close and without sales, the leads produced by the marketing team would go nowhere. 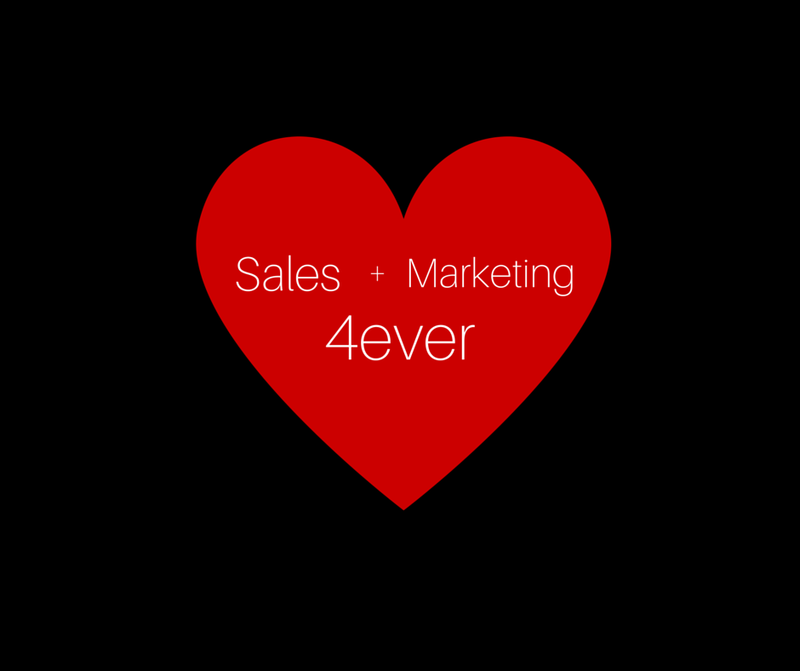 Sales and marketing should be lovers in this game of business. But, more often than not, animosity muddles their relationship potential. Because marketing teams feel possessive if leads they spent their time nurturing, aren’t given the time of day. And sales teams feel possessive of their time when marketing sends them less than hot leads. Who is in the right? Neither. Your teams need to get on the same page. You get on the same page by establishing similar goals. How to you set goals? By asking directed questions. What is your lead to conversion ratio? How many leads do you need to achieve your goal? These are a few core questions that will most likely raise more questions. The more questions you pose to your teams, the better. Before you leave the meeting room, you must answer these questions. Get some firm goals in place. Establish what a ‘highly qualified’ lead means, to both teams. You cannot expect a great result from two different entities unless they are operating under the same understanding. One of the biggest complaints between sales and marketing teams is the misunderstanding of what a ‘hot lead’ means. If marketing believes a ‘hot lead’ is one thing, but the sales team thinks a ‘hot lead’ is another thing, you will have a massive problem. Establish a company-wide definition of ‘highly qualified lead’ and write it down. If your marketing team isn’t producing a ‘highly qualified lead’ by your company’s definition, the sales team is not required to pursue this lead. If, however, your marketing team produces a ‘highly qualified lead’, then your sales team should pursue this lead. That way, you have no excuses. When everyone is on the same page, things get done. Set up a weekly (or monthly) meeting for your teams. Just as companies should have all-hands-on-deck meetings to check in and let people speak their minds, sales and marketing teams should do the same. The more interaction both teams have, in a structured environment, the better. Try to schedule a sales and marketing meeting as often as possible. Have solid data to avoid drama. Remember how we said you should set goals for your teams in order to promote a unified front? Well, you should also have data as a result of these goals. Make sure you track everything. The more data you have, the less room there is for argument. Create incentive for your teams to log data, and use this data to motivate them in the future.